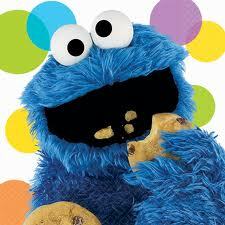 Cookie Monster loves cookies and we do too at Kitchenmonster. Watch one of our favorite video recipes when you want to make your next batch of yummy chocolate chip cookies. Get your favorite baking pan and bowls out and bake! Remember C is for Cookie. How many kitchen related words can you name that start with a C?